Dr. Fritz Albert Popp has already discovered and pointed out the "virtual state" master communication system that controls all cells in the body, and all their functions. Based on a thesis derived to best fit experimental results by Ruth and others, Popp postulates that biological systems generally have the capacity to store coherent photons that come from the external world. In other words, the biosystem is open to environmental communication and exchange. He has shown that the cell population is in a quasistationary state that is far away from thermodynamic equilibrium, as pointed out by Ilya Prigogine. Popp also concludes from his analysis that ultraweak photon emission within biological systems can influence chemical reactivity. In fact, his analysis strongly implies that "ultraweak" photon intensity can regulate the whole cell metabolism and related phenomena. The cell takes up photons from external radiation. This includes both "observable" photons and "virtual" photons. Since it stores virtual photons, it stores charge, or biopotential changes. Since its stored virtual photons may be coherent virtual photons, it effectively "polarizes" or structures its stored photon charge, hence its biopotential. The cell emits "spillage" photons - both coherent and incoherent - from its stored potential. Although Popp only uses conventional "unstructured" photons in his analysis, he shows that, at the molecular level, there is a stationary equilibrium, as far as photon storage and emission are concerned, between the molecular photon traps, the cell population, and the external world. It follows that coherent photon/charge inception from the external world can directly and precisely influence the cell's biopotential, hence its functioning and control, by information input. Incoherent photon inception, on the other hand, can only grossly affect the cell, such as by heating or sporadic effects. "The photons which we have measured can be seen as a sort of "waste" from a virtual electromagnetic field with a high coherence. This field has a tendency to become stationary over the whole organism." 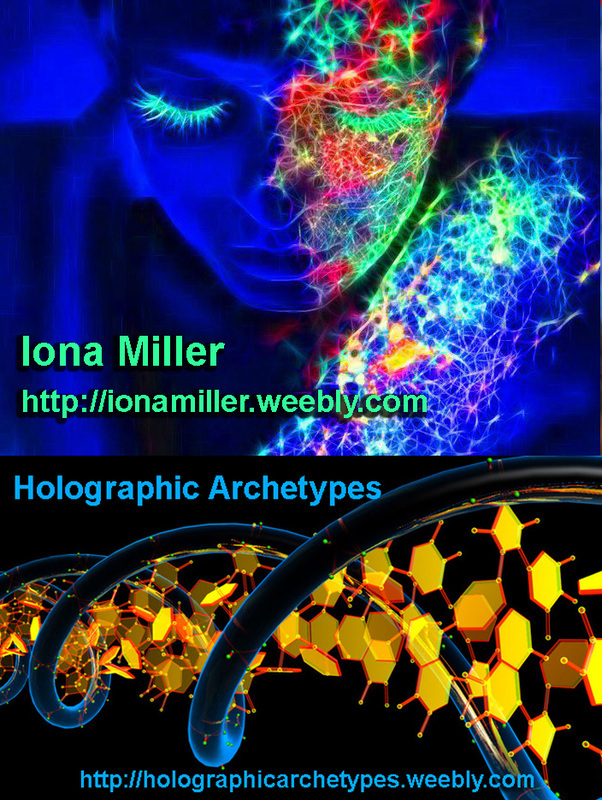 "Consequently, biological systems must exhibit 'holographic' properties to an extremely high degree. The successful trials in finding 'pictures' of various organs in each other organ, such as the ear, the hands, the eyes (acupuncture, iris diagnosis) support these conclusions. Our assumption that the entire genetic information of the DNA is stationarily delocalized over the body in form of genons may be seen as a further striking example." "From this we can easily deduce that pattern recognition, as, for example, repair mechanisms and immunity, depends finally on the coherence of the photon field within the body." "...In medicine new aspects have developed, and not only for cancer problems. Diseases in general can possibly be understood in terms of electromagnetic interactions within the organism." Popp and his colleagues have produced most important work and results indeed. They only need to add the impact of the zero-summed/multiplied electromagnetics (electrogravitation). As we cover in this book, the biopotential of the cell is rooted in the nuclei of the atoms of the cell's constituent materials. To be sure, every internal physical structure of the cell correspondingly "levels" and structures the biopotential. The overall cellular communication system is actually the exchange of "leakage" photons - both observable and virtual - throughout the overall biopotential of the organism. Further, going beyond Popp's work, both the biopotential and the leakage photons have extensive, complex internal substructures. Leakage and intercommunication occurs laterally at all levels of the biopotential, and vertically among cells and substructures. The master cellular control system's primary electrical conductivity path is not through the electron shells of the atoms, but is through the nuclei-to-nuclei scalar EM "biopotential levels" pathway. With scalar EM methods, organized signals (signals with specific internal nonzero vector EM waves, but which externally sum to zero vector resultant E and H fields) can be constructed for essentially any specific purpose. This includes "killing" a cancer or leukemia cell, destroying a virus, changing the DNA, etc. This approach can directly reach and manipulate all immune and repair system functions. embryo to develop into a frog! commonly linked with cancers and leukemia. His world was much smaller. almost identical molecules so different. the silicon filtered UV wavelengths of light while the quartz did not. (harmless to humans), allowed the UV light to pass through it unaltered. changed or scrambled the frequency. and came across information about a phenomenon called 'photorepair&# 39;. phenomenon, called /photorepair/ , but no one has disputed it. compounds react to and scramble. work anymore. It seemed logical, but was it true? prestigious medical journal agreed to publish it. could show that light was emanating from the human body. detector which used a photomultiplier to count light, photon by photon. what Popp assumed would be extremely weak emissions. photomultiplier, they registered an even higher intensity of light. coherent than anything they'd ever seen. it must be that we take up the photons and store them. spectrum of EM frequencies, from the lowest to the highest. This energy is the driving force for all the molecules in our body. activated by a photon with a certain wavelength and enough energy. other molecules of the body. a friend in a very big very crowded ballroom in the dark. in touch, but the main idea remains the same. seems pushing the "mechanical&qu ot; concept a bit too far. molecules move to the rythm. The music is supplied by the biophoton. Revolution: Proteins and Nucleic Acids Singing to One Another? where was the light coming from? the less light was emitted. light, it would naturally emit more light on being unzipped. -- how a single cell can turn into a fully formed human being. normal, a signal is sent to the cells to tell them to stop reproducing. Scientists have wondered exactly how this works. of the large and would create too much "noise" to be effective. humans emit only 10 photons/cm2/ sec at the same frequency. following the world's biorhythms as well as its own. as their coherence. The lines of internal communication were scrambled. collapse. Perfect coherence is an optimal state between chaos and order. restore the patient' s equilibrium. of perfect communication through waves that encode and transfer information. in the former were far more coherent than those in the latter. are ill when our waves are out of synch. determine plant health for the purposes of food quality control. applications of biophotonics. The work is based on a variety of patents. oscillation, or waves of the body and regulate enzyme activity. scientists from international centres around the world. bacteria swallowed photons from the media they were put in. information from them to correct our own light if it went awry. Some extremely interesting experiments were performed by V.P. sickened and died with the same symptoms as the primary sample. say two to four hours -- behind sickness and death in the primary culture. channel, while quartz is not. healthy culture, eventually kindling into the same death pattern there. tumour cells, making them even more deadly to the body. and, after a year, all her laboratory tests were virtually back to normal. energy waves to specific zones of the body. Coherence in Brain Microtubules: The 'Orch OR' Model for Consciousness"
microtubules and other structures within each of the brain's neurons. second look as the possible architecture of our consciousness. designed to transmit photons in the UV range. events create a flow of time, and consciousness. real and is the basis of virtually all human cellular and systemic function. dismiss this as fiction now that I know about our inner lights.